As it faces an ongoing federal probe into an allegedly defective RV tire that’s linked to at least nine deaths, Goodyear is now facing scrutiny over a motorcycle tire that experts say should be recalled, due to a number of fatal crashes, according to a report from Reveal from The Center for Investigative Reporting. Reveal looked at state and federal court filings, along with various police reports, and found that at least five people have died and 22 have been injured since 2006, after a specific motorcycle tire used on Harleys—the Dunlop D402—failed in numerous crashes. Most of the cases have led to lawsuits against Goodyear, including three that remain pending. The nation’s top auto safety regulator should act, experts say. “Absolutely, five deaths and 22 injuries from the same tire on motorcycles made for Harley-Davidson is a significant number and warrants an immediate investigation by NHTSA,” said Joan Claybrook, a former administrator of the National Highway Traffic Safety Administration, the federal agency that sets safety regulations for motor vehicles and equipment, including tires, and can request that manufacturers recall vehicles and tires with safety defects. Goodyear cited one story involving Steven and Patricia Morris, who died in a crash in 2008, after the tire blew out on Steven’s motorcycle. As the bike skidded onto its side, Patricia Morris fell off, smashing her head on the pavement in the breakdown lane. She was flown to a hospital in Atlanta, where she died several hours later. She was 50 years old. Steven Morris broke his ankle, three ribs and scapula. He also suffered a concussion, leaving him with permanent short-term memory loss. Both Patricia and Steven were wearing helmets. According to Reveal, the D402 tire on the bike that blew out had only 700 miles on it. In response to the report, Goodyear told Reveal the tire is safe, and said there’s “no defects related to motor vehicle safety” with the D402. “In fact, most motorcycle tire issues are the result of underinflation, overloading or damage from road hazards,” a spokesperson told the news outlet. It’s a similar position Goodyear has taken with the G159 tire, which Jalopnik published a series of stories on this year. Between 1996 and 2015, Goodyear received several hundred property damage claims over RV crashes sparked by G159 failures. At least nine people have died in those crashes, and court records suggest nearly 90 have been injured. No recall has ever been issued. The National Highway Traffic Safety Administration has been examining the G159 for a possible defect since the beginning of the year. 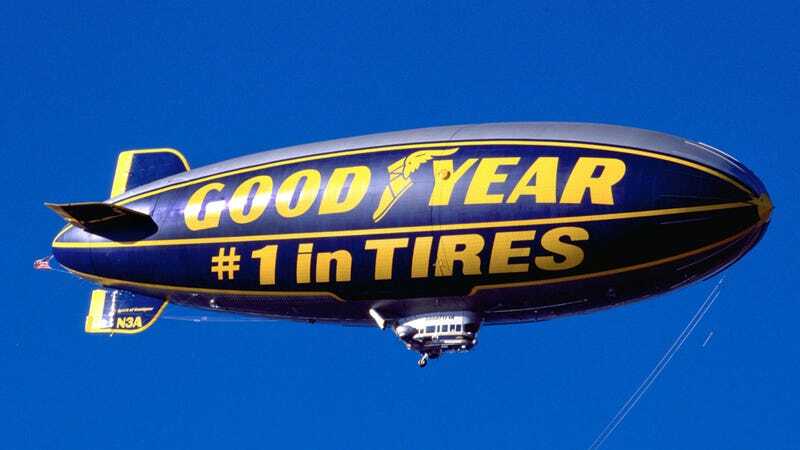 Goodyear has said it doesn’t believe any G159s remain on the road today. The company denies any allegation the tire was defective when used on motorhomes—despite facing at least 41 lawsuits over the G159, in which plaintiffs have alleged the tire was prone to heat-induced failure when used on RVs. Goodyear’s spokesperson told Reveal that “all death and injury claims” are reported “to the National Highway Traffic Safety Administration.” But court records obtained by Jalopnik show the company has appeared to vastly underreport death and injury claims over the G159. NHTSA queried Goodyear over the apparent discrepancy in a letter last month, when it requested more information about the tire.